Make your morning an event with a unique, country recipe! 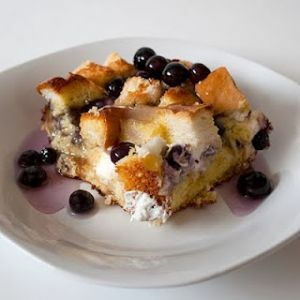 Blueberry fresh toast is sure to make a Saturday-morning favorite for the whole family. Mix together eggs, milk, and syrup. Pour over bread cubes and cover pan with foil. Let chill in refrigerator overnight. Bake covered with foil at 350 degrees for 30 minutes. Remove the foil and bake for another 30 minutes or until fluffy and golden. Top with sauce. Serves 8. *If you don't want to make your own syrup, make sure to try one of our many great syrup flavors. I think Red Barn raspberry syrup would be a fun twist!